2. Bend your right knee and bring the sole of your right foot close to your left thigh. 3. Exhale as you bend at the hips, slowly lower your torso and grab your left foot. 4. Hold the pose for 30 seconds to 1 minute and then switch sides. Keep your spine long, lower and lengthen your torso until your chest and belly touch the thigh, and feel the stretch in the back of the extended leg. Deepen the stretch as you exhale and, as you inhale, lengthen through the spine. The head to knee forward bend pose stretches the hamstrings, lengthens the spine, strengthens the back muscles and massages the abdominal organs. This pose calms the central nervous system, reduces stress, and relieves anxiety and mild depression. 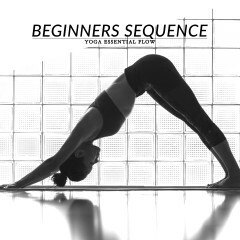 Start with standing forward bend, bound angle or downward facing dog pose and then progress to head to knee forward bend pose. Follow-up with seated forward bend or reclining bound angle pose.